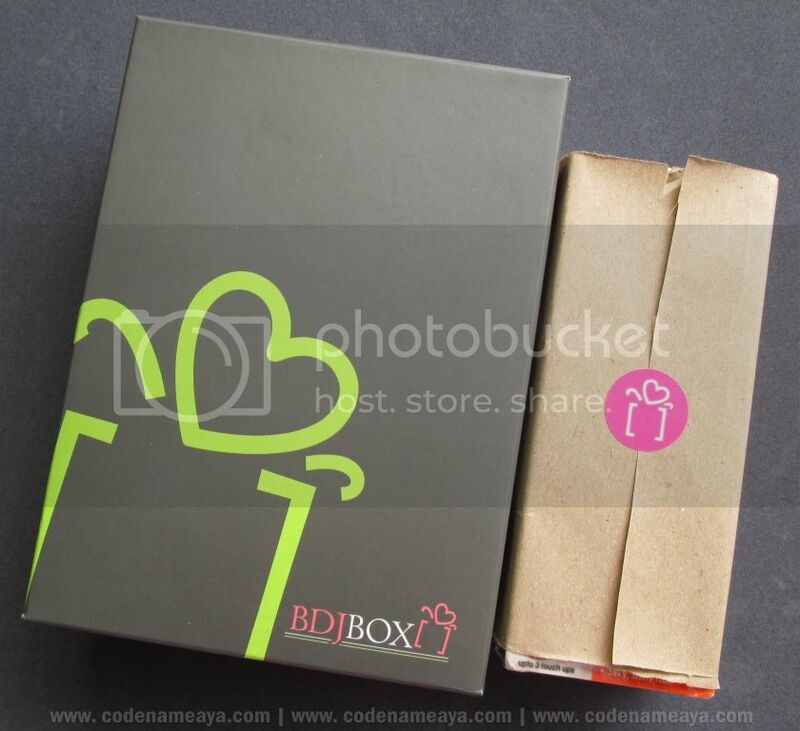 Before this month ends, I'm gonna show you what's inside the first BDJ Box for 2014! Yes, the first box from BDJ Box is a January-February combo box. These boxes were shipped, if I remember correctly, on the last week of January. To start the year, BDJ included an assortment of products (from makeup and nail polish to skin and hair care) that could help us 'change things up.' It's a new year, after all. 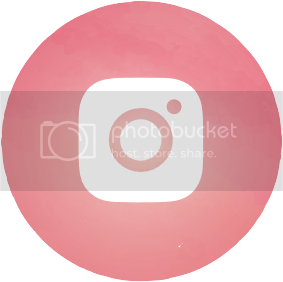 Let's take a look at what's inside. 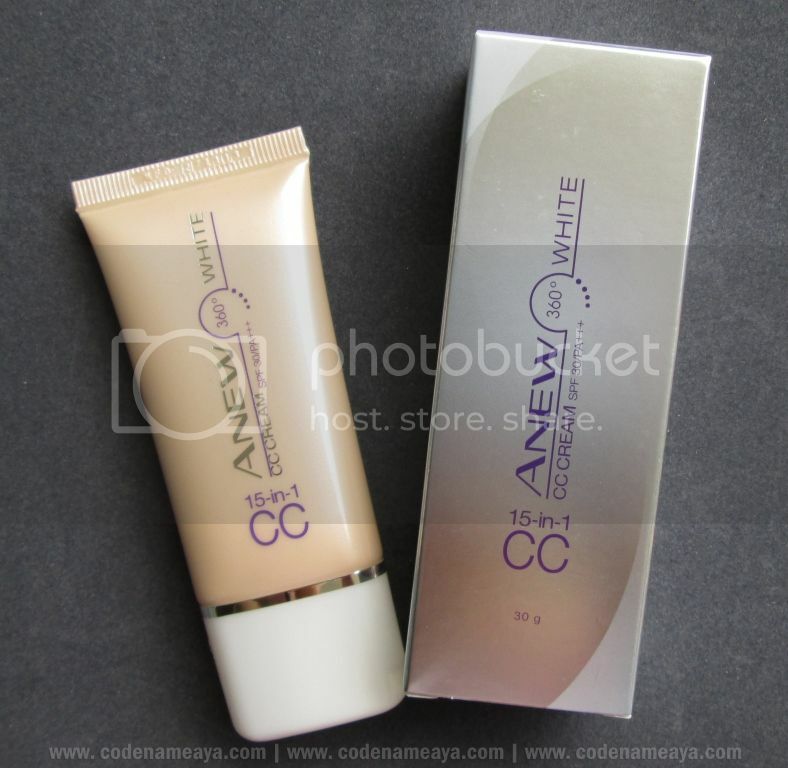 The item I was most excited to try was this Avon CC Cream. I've tried a lot of BB creams already, but I've yet to start exploring the many CC creams available in the market now. For the nails, there's Revlon Nail Art Expressionist nail polish duo. You know me, basta nail polish, like ko 'yan! 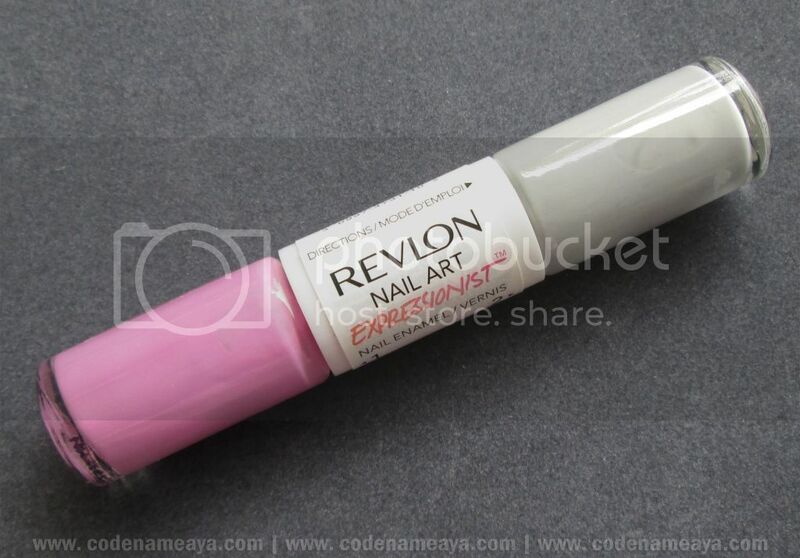 And I had been wanting to try Revlon polishes, especially the Nail Art range. One side has a striping brush instead of a regular-sized nail polish brush! Also excited to try this mascara from Yves Rocher. 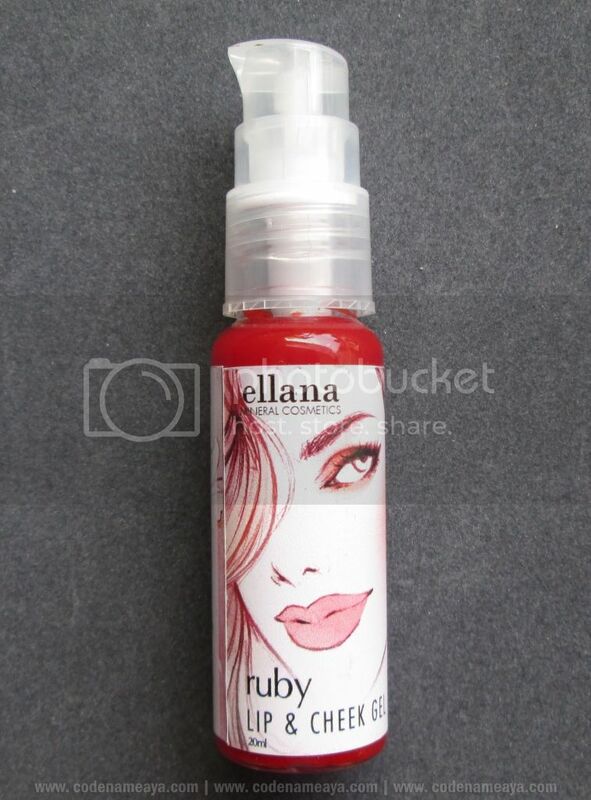 The one other makeup item here is a lip and cheek gel from Ellana. 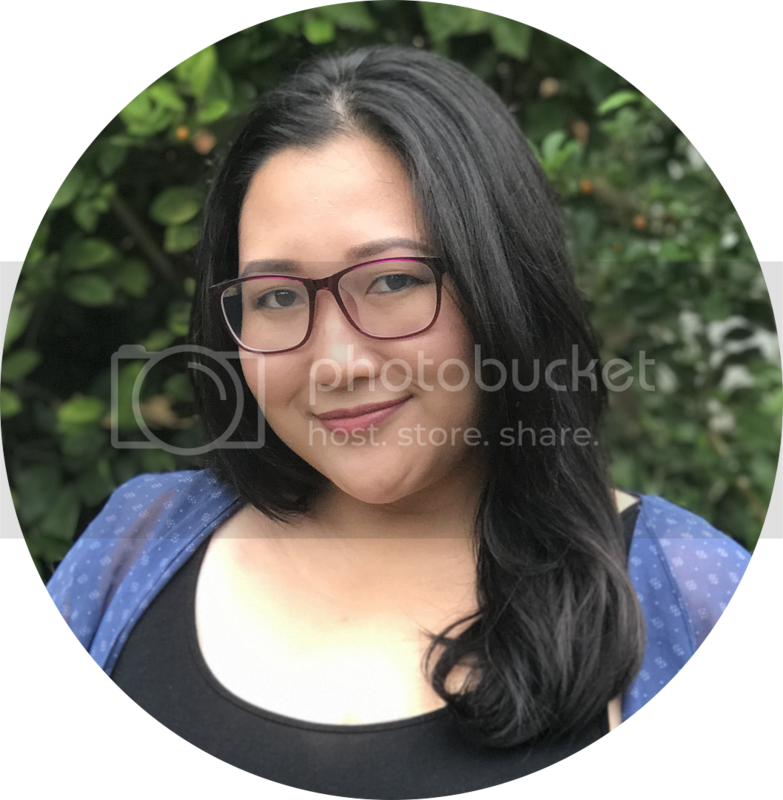 I first got to try Ellana cosmetics around three years ago (they were giving out free samples on their site) and liked them! Not too excited about this product, though, just because I am not a fan of stains. 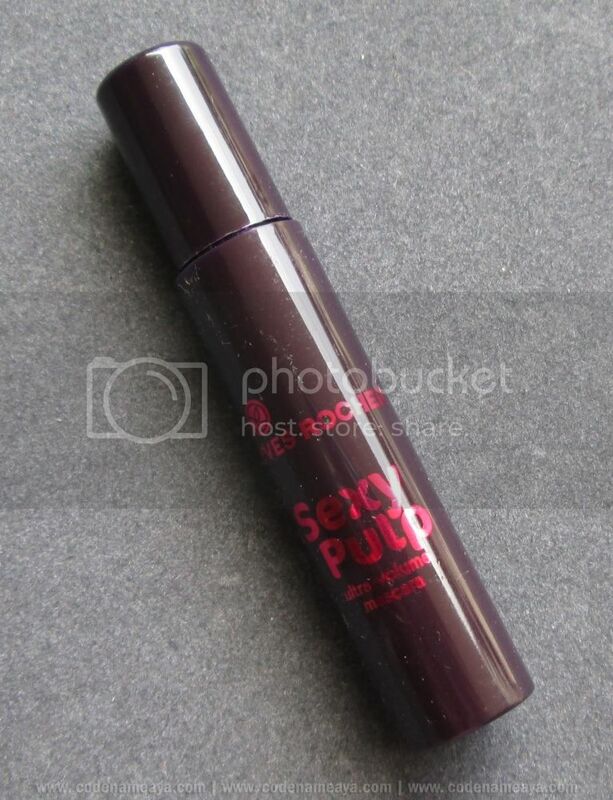 They just don't work well for my naturally pigmented and unevenly colored lips. This one's no different. But as a cheek stain, I've yet to test it out! It's pretty pigmented, though, I'll tell you that. Swatches some other time. Now, skin care. 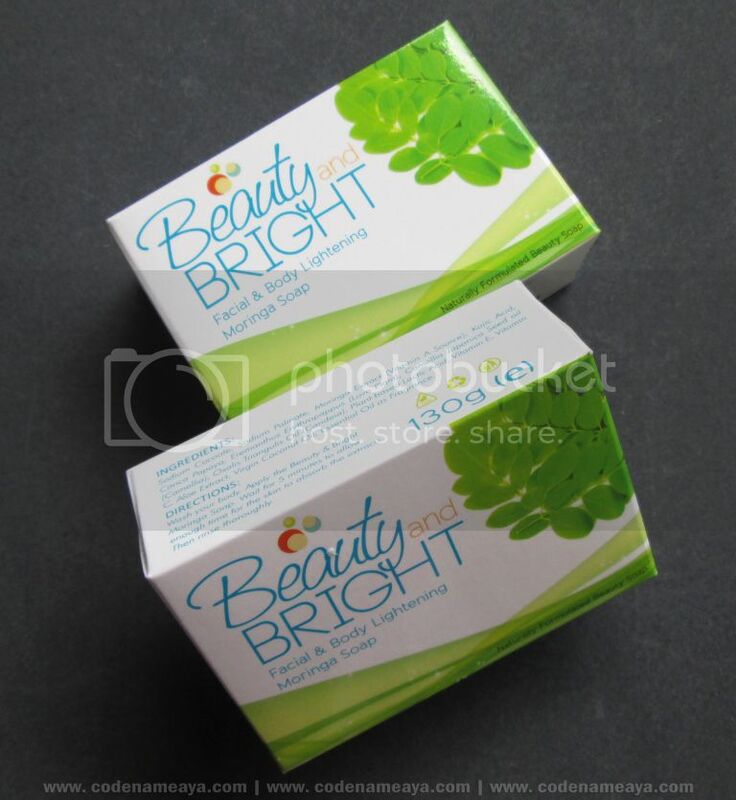 There are two bars of the Beauty and Bright moringa soap. At first I found it unnecessary to have two bars of the same variant (It's also the same soap I'm currently using! ), but hear this. I gave one to my dad to try, and he ended up liking it that he asked for another one... and another one! Good thing I had a bar to spare, huh? He said he liked how the soap left his face feeling moisturized, unlike other facial washes that dried up the skin. Now I have to keep on reminding myself to buy extras for him! Then there are more skin care samples from Tony Moly. 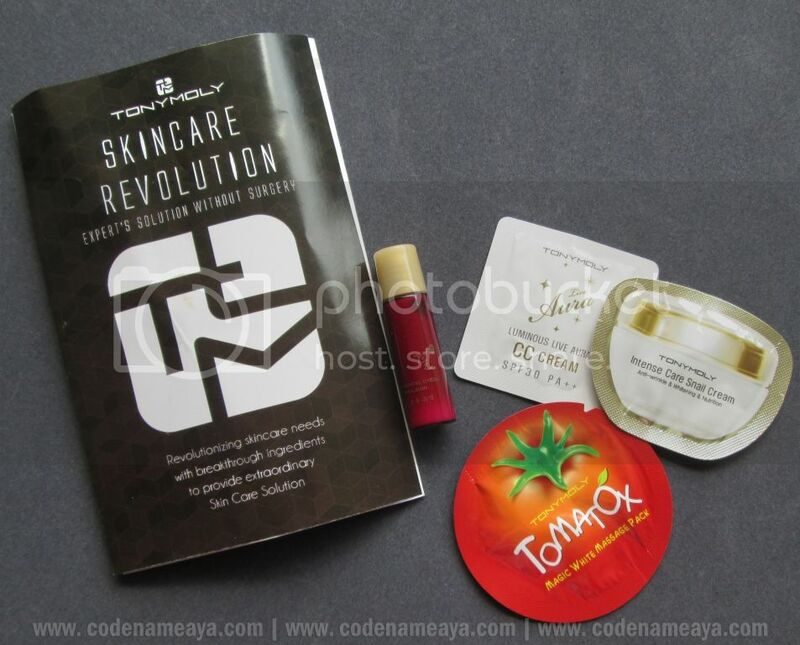 Snail cream, emulsion, Tomatox massage pack and even another CC cream! 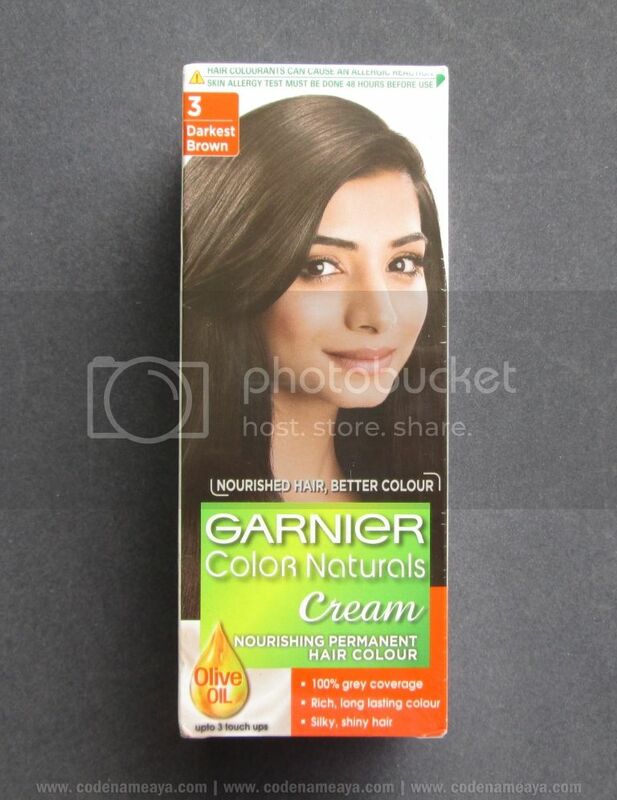 And for the hair, there's the Garnier coloring cream. 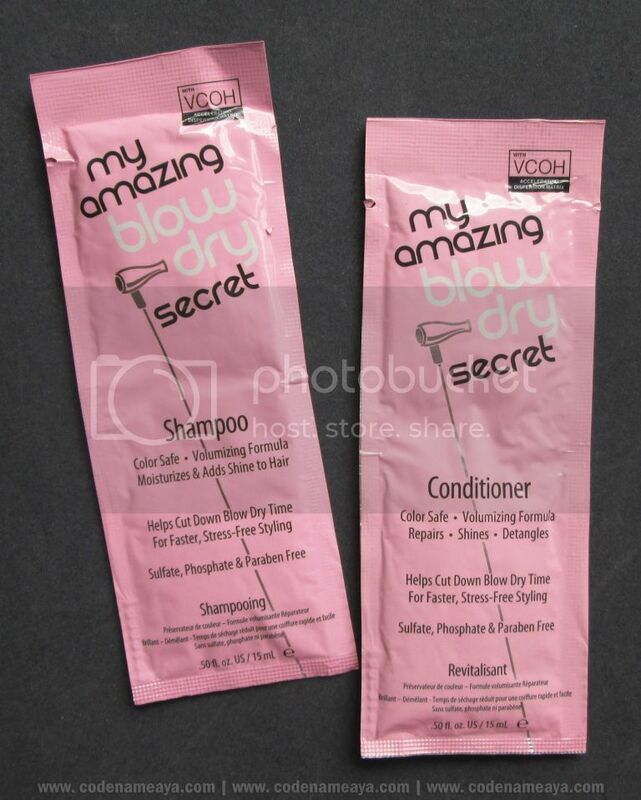 There are also samples of the My Amazing Blow Dry Secret shampoo and conditioner. For my long hair, these were good for up to two washes. They claim to shorten hair-drying time, which would be great for me because blow-drying my hair every morning is not something I enjoy doing. Didn't notice any change in my usual blow-drying time, though. Guess I have to use these for a longer period of time for me to be able to observe the change. But these smell nice. And they kept my hair smooth and healthy-looking throughout the day. 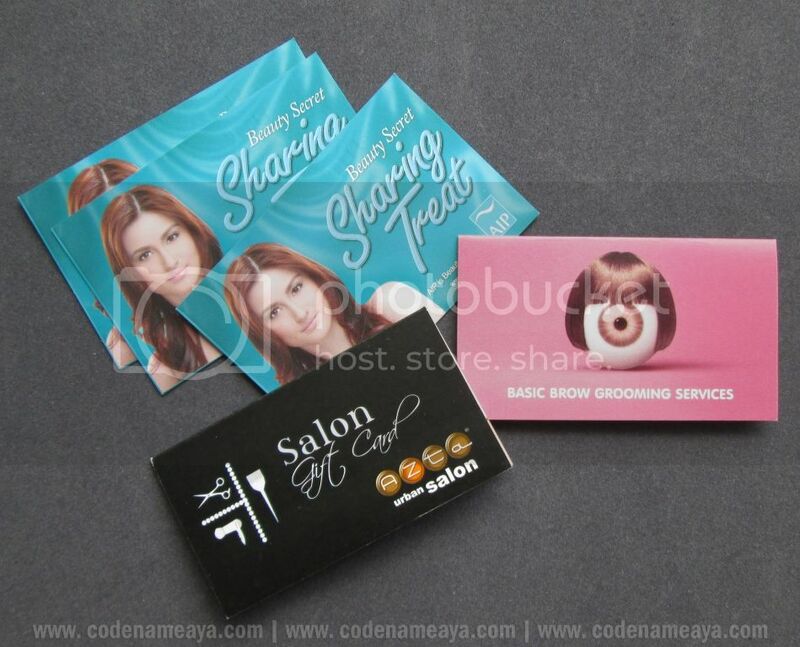 And last but not the least are the vouchers and gift cards from Browhaus, Azta Urban Salon and the Aesthetic Institute of the Philippines. 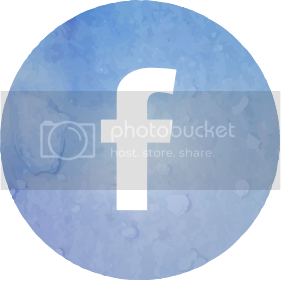 Free Browhaus Brow Construction - threading/tweezing (awesome! ); P600 and P800 off on the Brazilian Treatment and the Cynos Nano Digiperm, respectively, at Azta Urban Salon; 3 P500 AIP gift vouchers. And that's pretty much it for the contents if the Jan-Feb BDJ Box! Over-all, I like that this is a complete package. Ok maybe not a complete package, but you get what I mean, right? 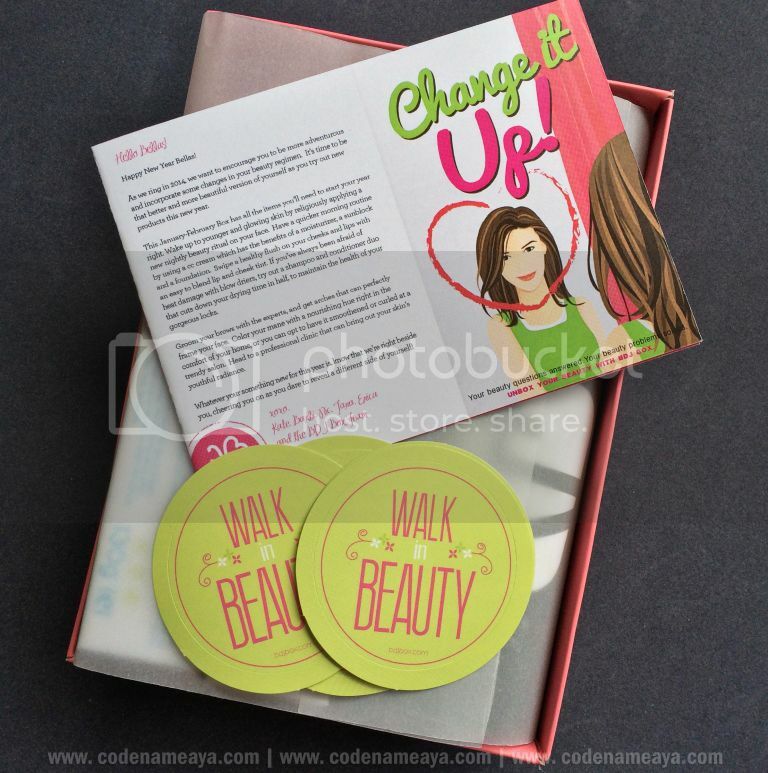 BDJ got us covered from nails to makeup to skin and hair with this box! 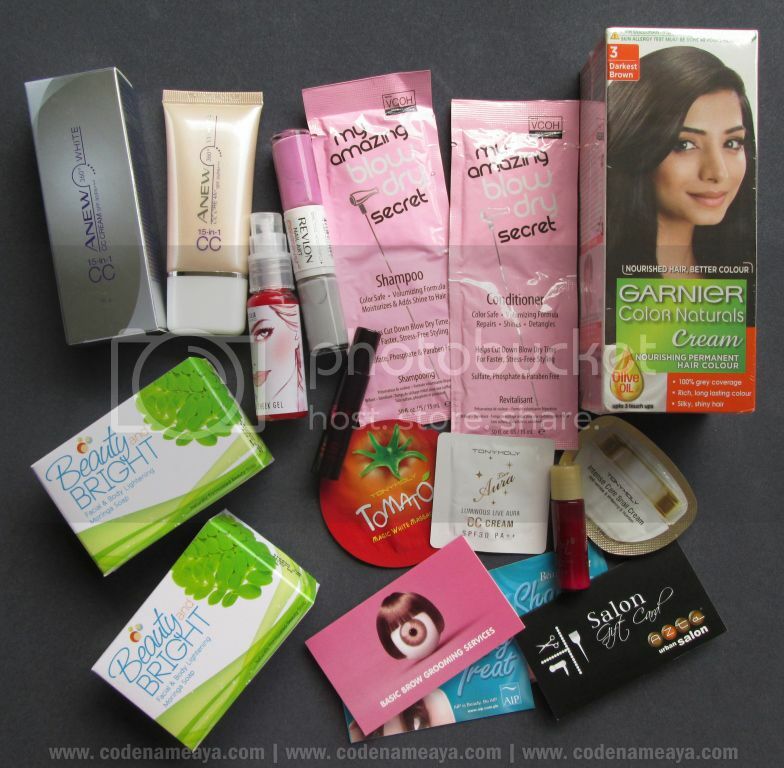 To subscribe to BDJ Box and receive a box filled with beauty goodies every month, visit bdjbox.com. 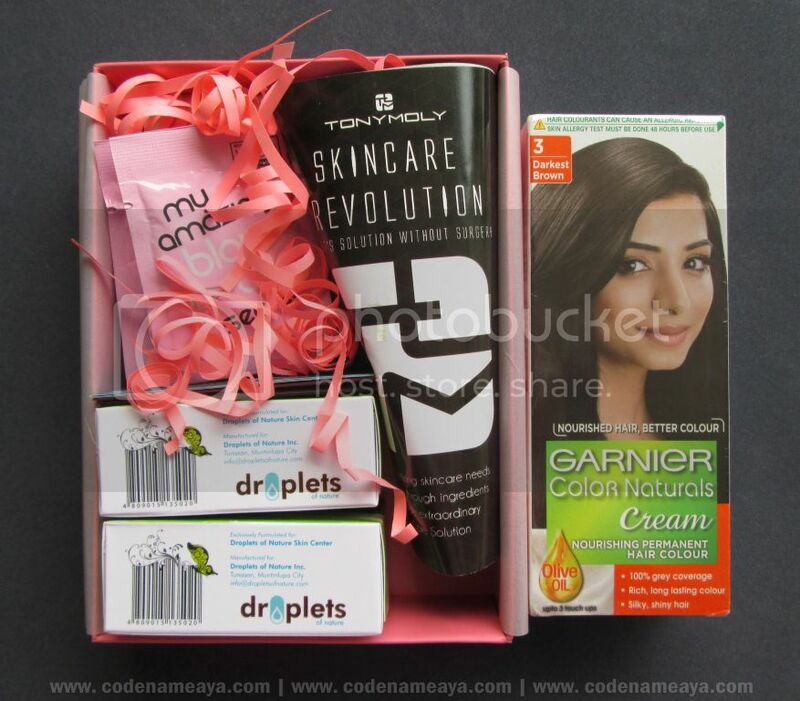 May boxes are already open for subscription! 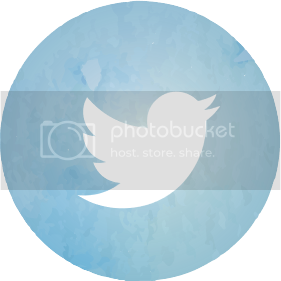 Don't forget to visit @BDJBox on Twitter and Facebook for updates. *March and April boxes are already sold-out.